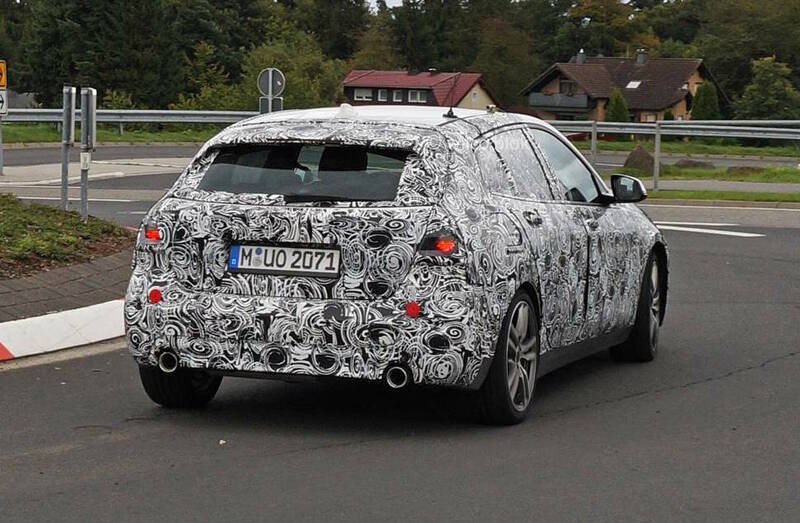 BMW has been spotted test driving the all-new, 2019 BMW 1 Series out and about near the Nurburgring in Germany. 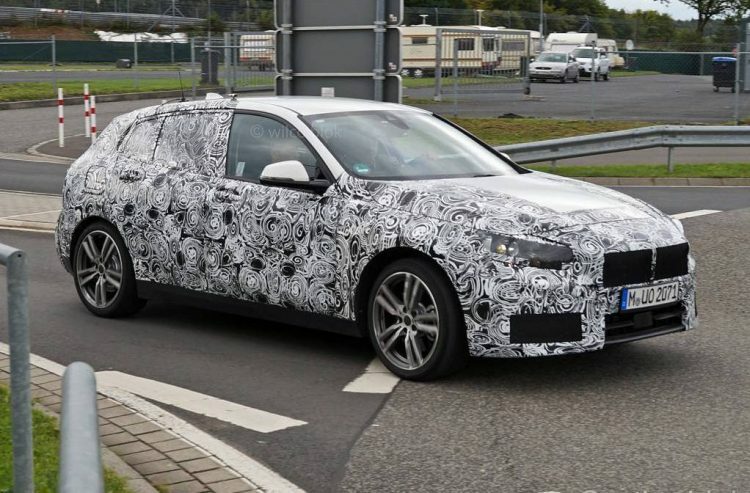 The prototype appears to be wearing its production body, following initial sightings during around June this year. The biggest news surrounding the next-gen 1 Series is that it will switch to the UKL platform. What’s so interesting about that? Well, this is a front-wheel drive layout, first adopted by MINI with the current Cooper and then the current X1 and 2 Series Active Tourer. Sadly, the outgoing 1 Series will be the last rear-wheel drive hatch on the market, unless another company comes along to fill the void. Switching to the UKL will come with plenty of benefits though. It’s expected to be lighter in weight, which usually brings improvements to performance, handling and economy, but it’s also set to open up more cabin space. With the current model, the tailshaft runs down the centre of the floor pan, sapping some cabin space, while at the rear is a full independent rear suspension setup and differential. Without this, there is a big potential for a larger cargo area. As we’ve seen with the X1 and the MINI Cooper S, the UKL platform is a very rewarding chassis. 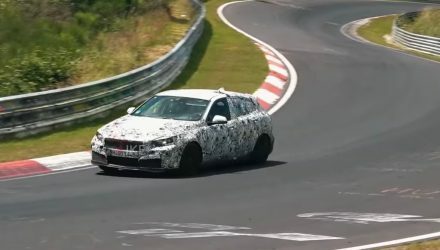 In other words, the 2019 1 Series should be able to live up to BMW’s traditional driving dynamics with no major hindrance. There’s also the possibility for an all-wheel drive package for the performance variants too, which could really improve cross country performance. These images, surfacing on wilcoblok Instagram page, show the new hatch with a fresh exterior design with new panels on every area. The front end appear to use the latest upright grille layout, with drawn-back headlights, and a neatly proportioned rear end. 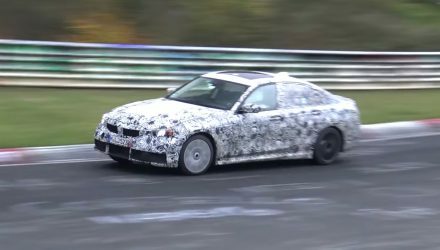 Details on the powertrain options are yet to be officially confirmed, but all speculation points to an entire four-cylinder lineup. Well, a three-cylinder would also be on the cards but a six-cylinder, as seen in the current M140i, is very likely to be non existent. The replacement to the 250kW M140i could come in the form of a boosted 2.0-litre turbo producing a similar output, but with all-wheel drive to make it even quicker than the M140i’s 4.6-second 0-100km/h claim. 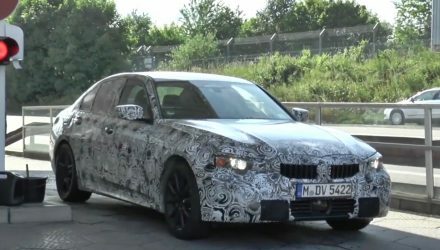 The new model appears to be still undergoing thorough testing and is not expected to hit the market until the second half of 2018. We’ll keep you updated with any official word that we hear. 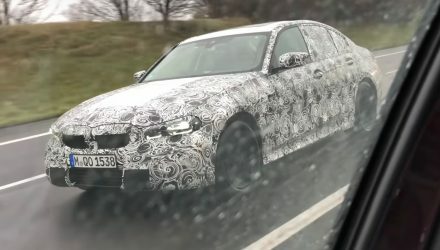 BMW Australia recently announced a facelift for the 1 Series, which is expected to be the last update before this new model arrives.